The Mobile Exhibition was developed in 2010 in cooperation with Okinawa Prefecture Peace Memorial Museum for the younger generation. 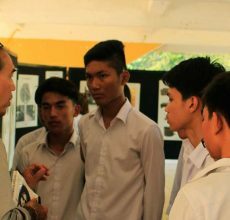 The exhibition provides an opportunity for young Cambodians who may not be able to visit the museum to understand the history of the Khmer Rouge period. 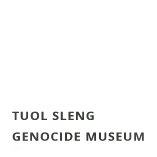 The exhibition provides a brief history of the Khmer Rouge regime especially the story of the museum. It aims to provide students with a message of peace. The Museum aims to bring this exhibition to different schools in Cambodia, firstly, to schools in Phnom Penh, and later if resources allow outside Phnom Penh. The museum does not currently have its own transportation for trips outside the capital. For details about the program, you can read News & Events.